DIY Necklace Holder and Tutorial | Love People. Like Things. I have a lot of jewelry. Specifically, I have a lot of necklaces. And until yesterday, they were all in a tiny plastic drawer. And I would have a frustration attack every day when I decided I wanted to wear one of them. They were all in one huge tangled mess. That doesn’t do much for my ‘get-ready-just-in-time-to-pour-coffee-and-run-out-the-door’ mornings. I probably should’ve set my alarm for 10 minutes earlier just to untangle the necklace choice of the day. 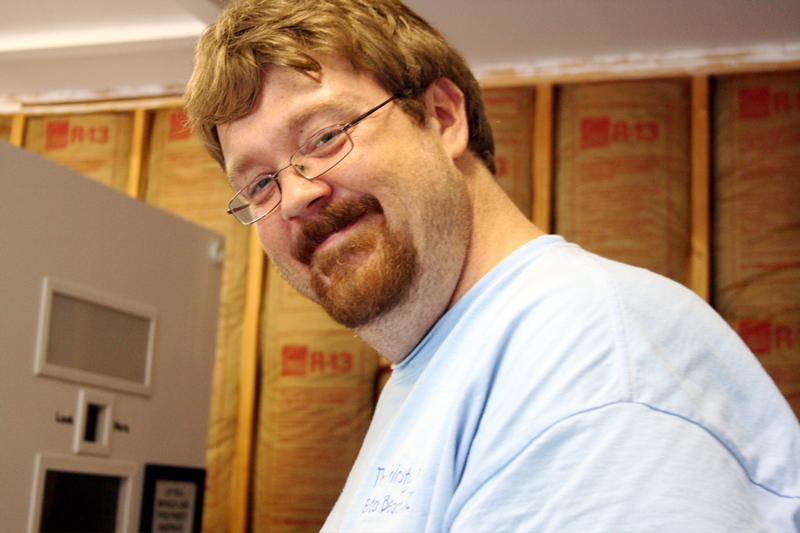 You need: any shape any size any kind of wood for the actual foundation, enough batting to cover the wood twice, fabric to cover once, staple gun & staples, knobs, drill, and a hot husband with a dremel tool. 🙂 If you don’t have that last part, you can borrow mine, but only for the dremel tool part. Sorry, he’s too handsome and wonderful for me to let him go that easily! 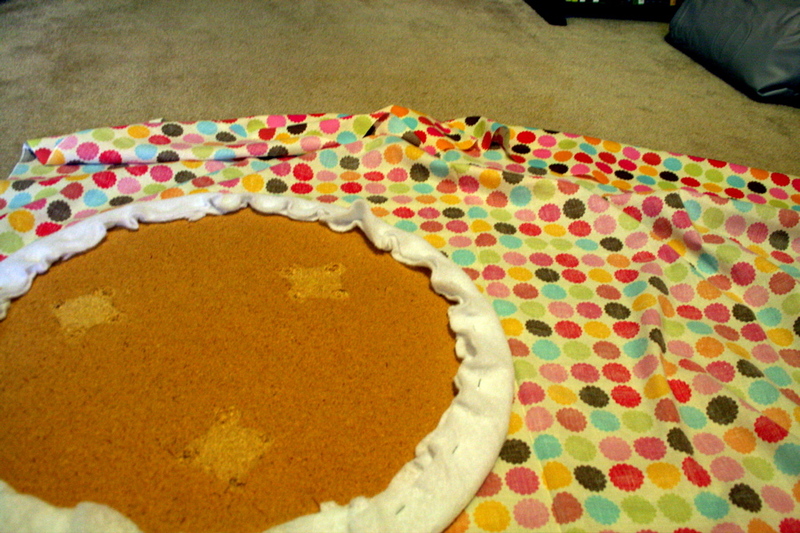 Step 1: Stretch the first layer of batting around the wood and staple gun it like crazy. 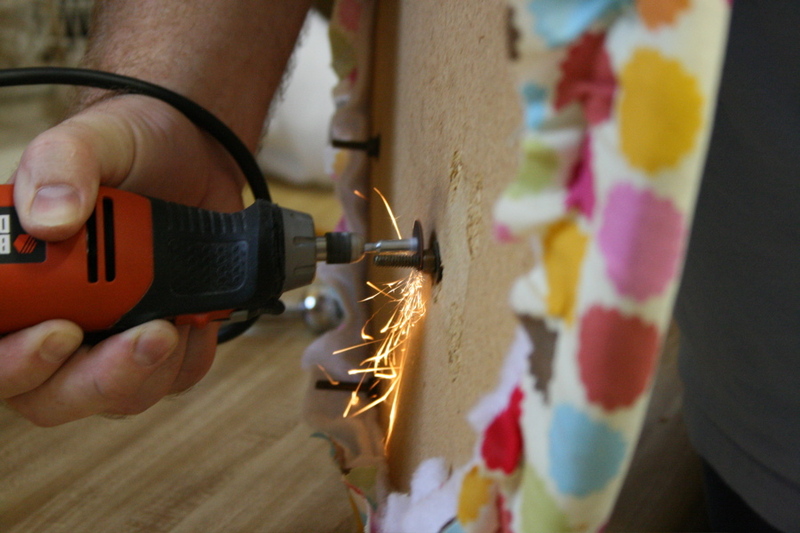 I had never used a staple gun, so I really went at it. Step 2: Repeat step 1 with the other layer of batting. Step 4: Find your hunk and bat your eyelashes really dramatically and ask him to drill you some holes. In my case, it was at about 8:30 am on a Saturday, so you may need to throw in some smooches and pancakes. 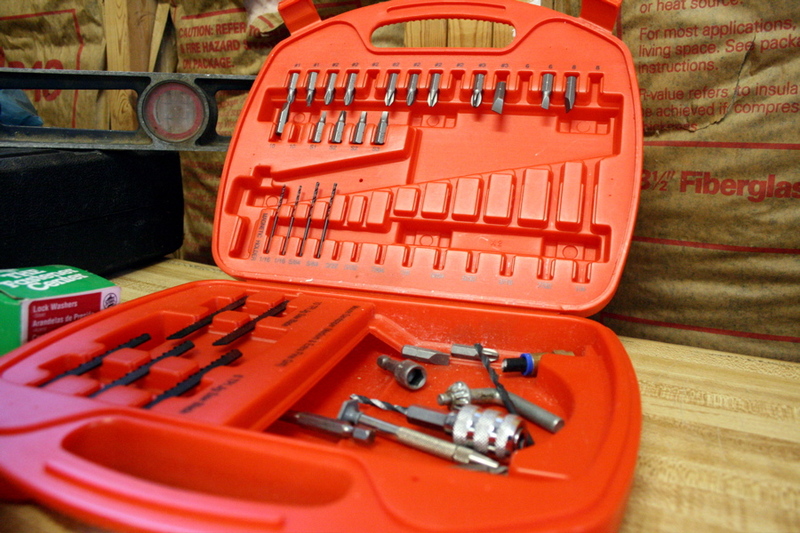 Step 5: Drill holes (plan ahead on where you want your knobs to be located). 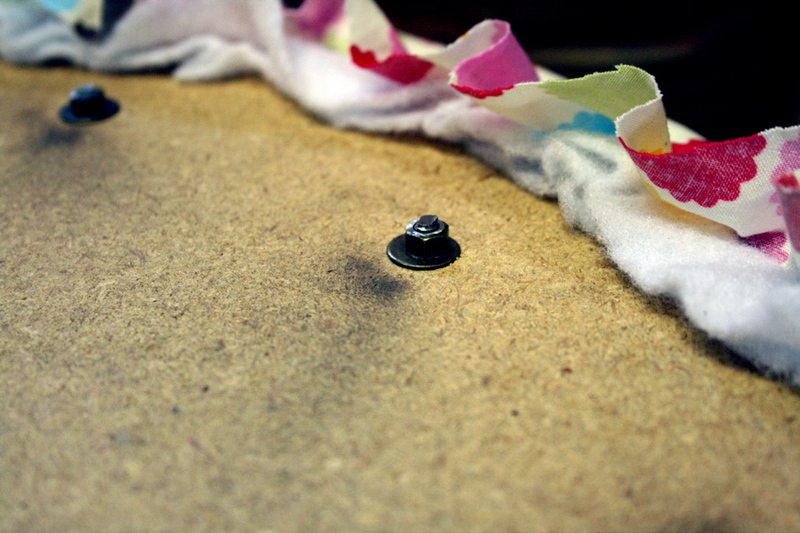 This part can be more difficult than it sounds because the fabric will wind around the drill. Just go slow and hold it down with your other hand. You may need to do a little forward-reverse-forward-reverse action. 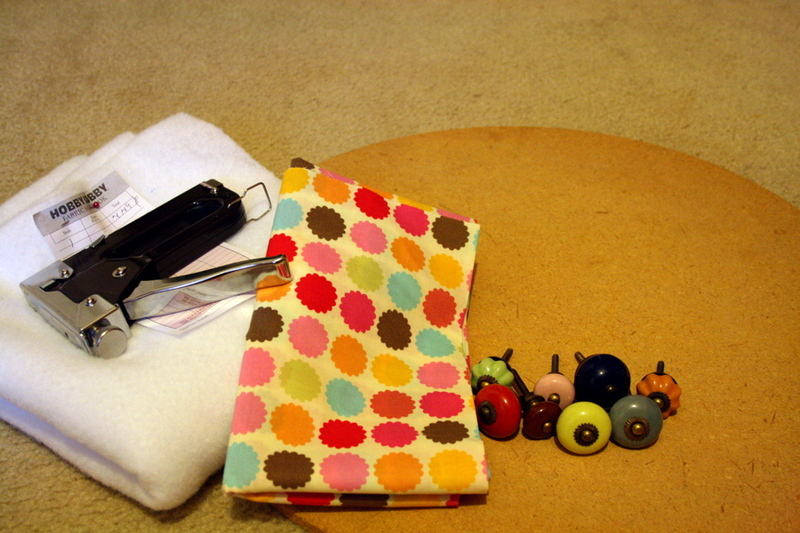 Step 6: Switch the backing on your knobs so that there is room to hang some necklaces. 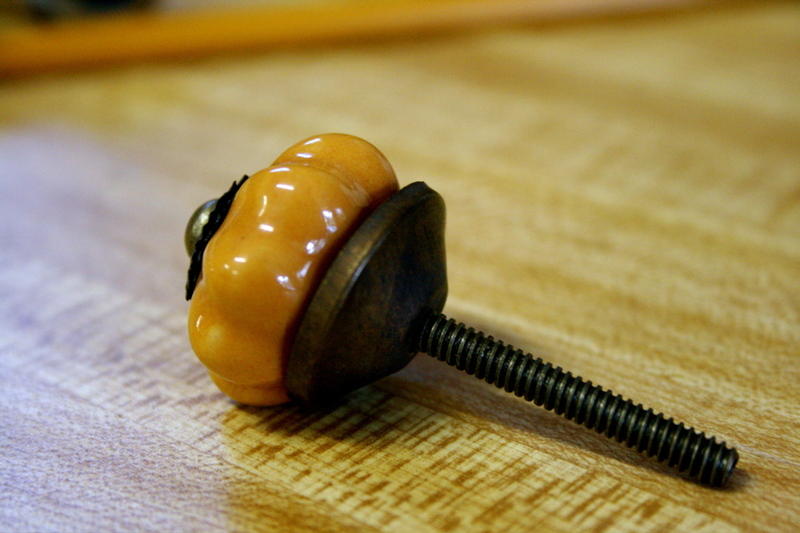 Step 7: Screw in your knobs, and put the washer and nut on the back. 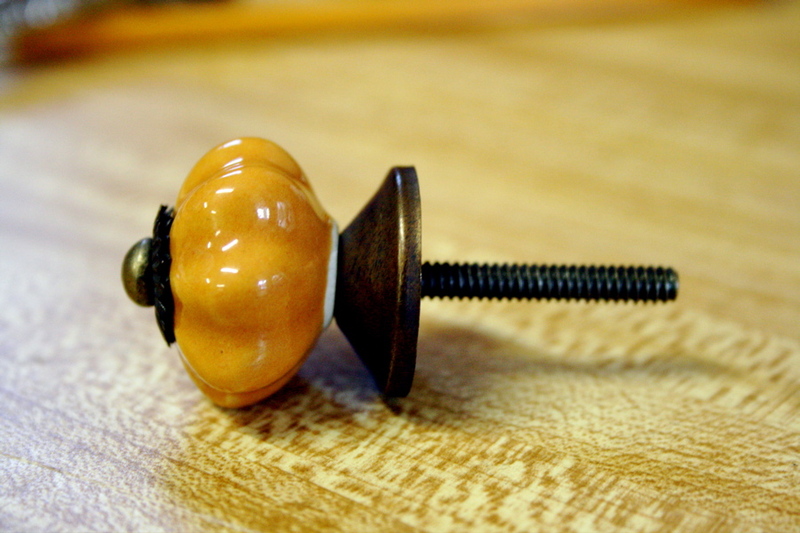 If you are like me and bought awesome knobs with REALLY long screws on the back, you will need to do some more eyelash batting and get your hunka hunka burning love to do something kind’ve dangerous (see Step 8). Step 8: Using a dremel tool, cut the extra screw length sticking out the back off. You have to do this so it lays flat against the wall. Please be careful and don’t burn anything. Step 9: Attach some sort of hanging device on the back, put a nail in the wall, and hang it up. 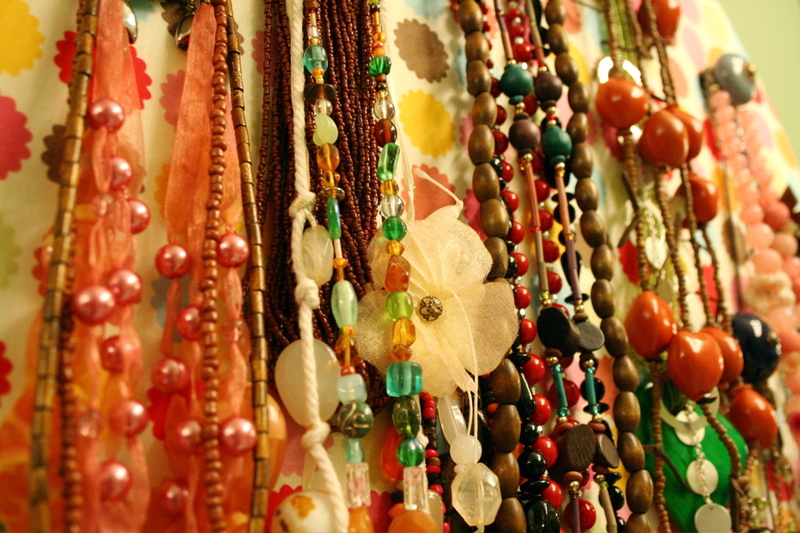 Step 10: Hang your necklaces. I have been looking for an idea for a necklace holder. I really like this idea!! I like that it is round instead of the square picture frames I have seen. love it, and of course your great selection of necklaces really tops it off! Thanks so much for the amazing idea! I made one too but it’s very much different from yours. I posted up some pictures up on my blog. This is really awesome! Thanks for posting it. I really love this idea! 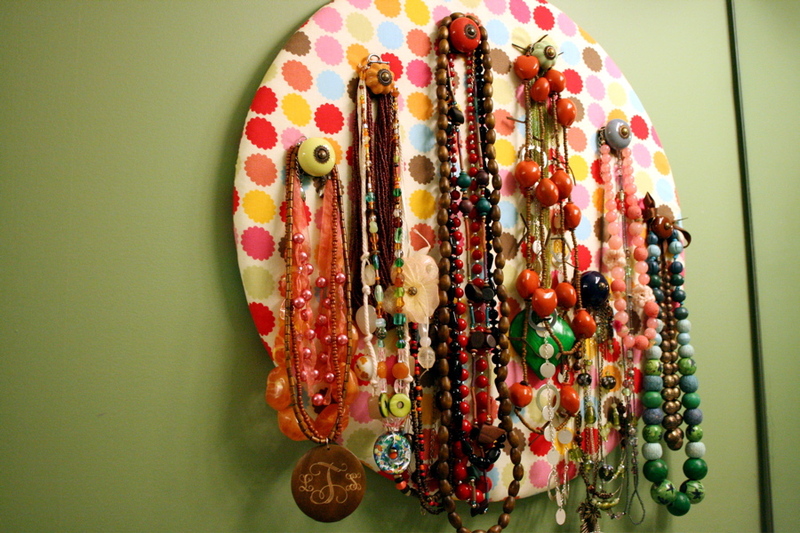 I just made a jewelry organizer out of a pic frame – great but not big enough! I love those knobs you use too, where ever did you find them? Thanks for my next project idea. Hi Ruth! I’m glad you liked the necklace holder! I got the knobs at Hobby Lobby, but I’ve since seen really cool ones at World Market and (if you want to spend the big bucks) Anthropologie. 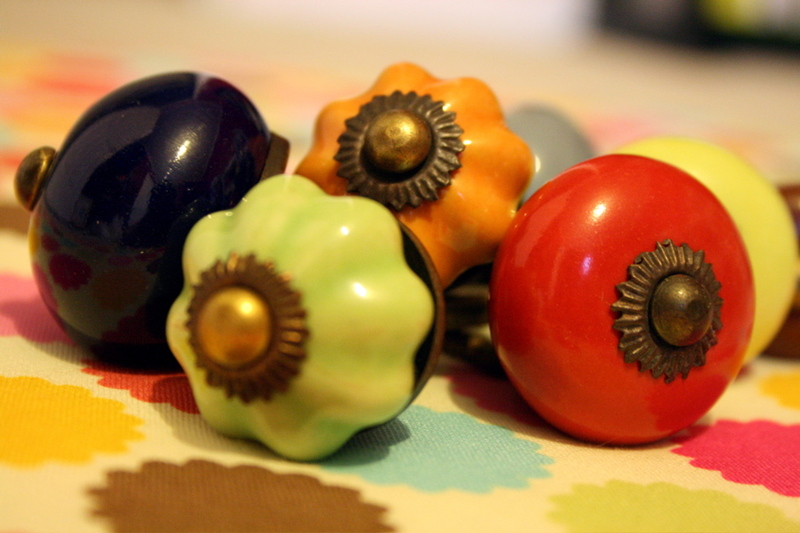 You can find some pretty neat vintage knobs at thrift stores or yard sales – and the best part is – they don’t have to match, so you can find them in all different places! Its a great idea 🙂 I’m just wondering, where did you get those really cute knobs? I’d like to find crafty ones like that! they sell them at hobby lobby!! i got some just the other day 🙂 they have a great selection too!! happy crafting! I absolutely love it! I have one in the works, but yours is much nicer! Thanks for sharing! Hey Lindsay! 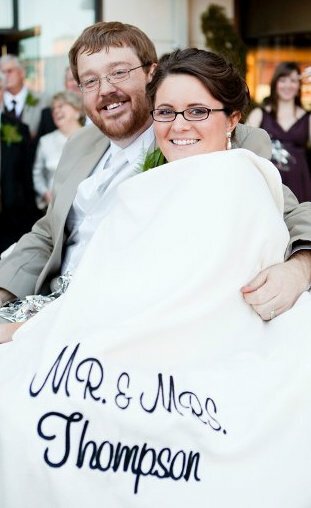 I LOVE this idea.. just went to hobby lobby and bought all the parts for it. 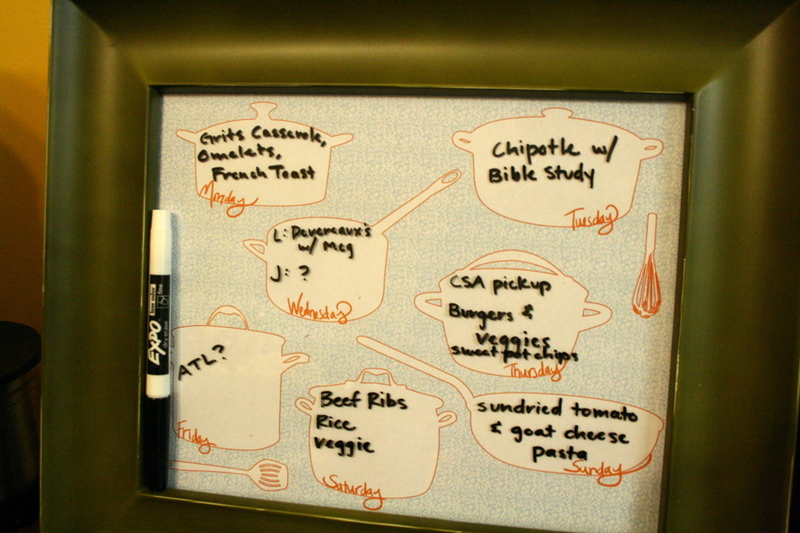 I was just wondering how you made that weekly dinner chart, though.. it’s super cute and I would love to make it for a christmas gift!